کومرٱ ڤلات چک ها د ٱفتاوزنوݩ هومبٱست اورۊپا و پاتختش شٱئر پراگ ٱ. ↑ "Czech language". 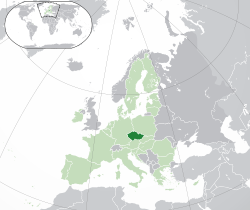 Czech Republic – Official website. Ministry of Foreign Affairs of the Czech Republic. http://www.czech.cz/en/67019-czech-language. Retrieved 14 November 2011. ↑ "Czech Republic Population 2014". World Population Review. http://worldpopulationreview.com/countries/czech-republic-population/. Retrieved 7 January 2017. ↑ Census of Population and Housing 2011: Basic final results. Czech Statistical Office Archived 29 January 2011 at the Wayback Machine.. Retrieved on 19 December 2012. 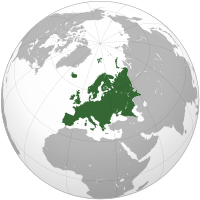 ↑ ۵٫۰ ۵٫۱ ۵٫۲ ۵٫۳ "Czech Republic". International Monetary Fund. http://www.imf.org/external/pubs/ft/weo/2017/01/weodata/weorept.aspx?pr.x=49&pr.y=15&sy=2017&ey=2017&scsm=1&ssd=1&sort=country&ds=.&br=1&c=935&s=NGDPD%2CNGDPDPC%2CPPPGDP%2CPPPPC&grp=0&a=. Retrieved 8 May 2017. د نۊ زنٱ بیٱ د"https://lrc.wikipedia.org/w/index.php?title=کومرٱ_ڤلات_چک&oldid=107341"
اؽ بٱلگٱ ایسنؽا آلشت بیٱ د ‏۲۴ مارس ۲۰۱۹، د ‏۰۵:۰۶.